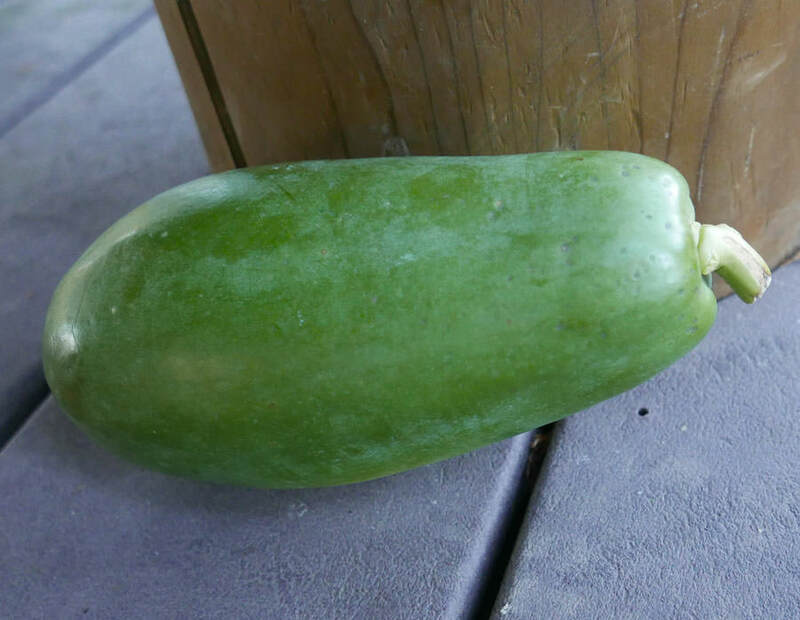 We are pleased to offer good quality fresh green papaya, perfect for making Thai Papaya Salad, "Som Tum". The papaya has light green flesh (see pictures below). Excellent quality this time of year, expect larger than usual sizing and very fresh arrival at your door. We will ship you one papaya, protected to ensure good arrival, and sent via 2 Day shipping. Size varies a bit, but the papaya will weigh between 3-4 lbs, and yields 3 to 4 cups of shredded papaya. Highly perishable and should be shredded immediately after arrival. Soak shredded papaya in salt water for a few hours, drain and store in sealed container in fridge for longest keeping. Please Note: Produce ships via USPS (2 Day) so please provide an address that can be used for USPS delivery. If you order only fresh produce, select "$0.00" as shipping charge at checkout (because the price above includes shipping). If you order fresh produce and any other items, you must checkout with "Fedex Ground" as the shipping method, and you will receive the other items separately. Occasional delays due to Mother Nature & harvest conditions. Any questions about shipping, if you need a definite delivery date, delivery times, or anything else please feel free to call toll free 888-618-THAI. Pictures below from our recipe for Thai Papaya Salad, "Som Tum"
This mortar is a crude, simple fired clay, very "rustic" in appearance and definitely not a work of art; however, it's highly functional. The mortar is 6.5 in. deep and 8 in. wide, with a capacity of approx 8 cups. The pestle is made of beechwood (as any other material would break the mortar) and is 11 in. long. Our clay mortar and pestle was featured in The New York Times Style Magazine.